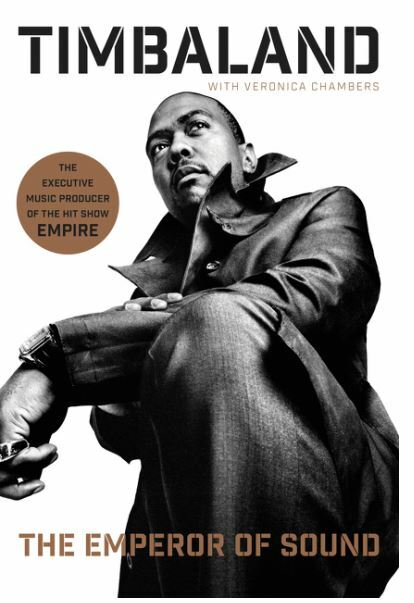 With the recent success of the television show ‘Empire’, in which Timbaland produces the music, it makes sense that he would want to catapult himself further with an autobiography. In it he lays out the early sounds that inspired him, his father listening to Rick James and later his own love for Prince and Queen. His mother supported his love of music even when it meant that it took priority over school work. Timbaland, also known as Timothy Mosley, was raised in the Virginia Beach, Virginia area and went to school with and came up with Pharrell. He started working with Missy Elliott early when they both still lived in Virginia Beach. Together the two of them set their eyes on a goal and moved to New Jersey to make it happen. They both got stuck in a producing nightmare for nineties R&B group Jodeci but once out of that they took off. Timbaland had a break out hit with Ginuwine’s 1996 song ‘Pony’ and then Missy’s first real album ‘Supa Dupa Fly’. Throughout the book it’s interesting how he layers sounds, how he finds the inspiration, and how he mentors artists. So go grab your old school boom box and open the windows up and clean out your house with some great jams. Timbaland’s story is a look behind what makes his music so catchy, a glimpse into the creation of a DJ’s mind. Time for me to dig that ‘So Addicted’ album out and do the same.